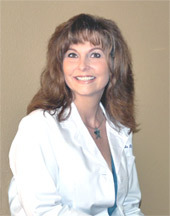 Dr. Jill Bemis is a native of Lansing, Michigan. Following graduation from Fowlerville High School in 1976, Dr. Bemis attended Michigan State University in East Lansing Michigan and graduated with a bachelor’s degree. In 1982 Dr. Bemis enrolled in Palmer College of Chiropractic in Davenport, Iowa, which is the oldest and largest chiropractic school in the world. While attending Palmer College, Dr. Bemis studied a variety of research based Chiropractic techniques including numerous soft tissue therapies. She graduated in October of 1985 with a Doctorate degree in Chiropractic, and served her internship training at Palmer College outpatient clinic. She is board certified having passed all four sections of the National Board of Chiropractic Examiners, including Physiotherapy. Dr. Bemis specializes in the non-force, non-surgical treatment of conditions relating to the spine and extremities, with more than 23 years experience and expertise in the areas of complementary and alternative healthcare. She utilizes gentle non-force chiropractic adjustments to correct misalignments of the spine, and to control pain during the healing process. You can feel confident that your well being is her number one priority. She is honored to serve the people of Central Oregon one person at a time. Dr. James Bemis was born in Bellingham, Washington, and completed his undergraduate studies at Skagit Valley College in Mt. Vernon, Washington. 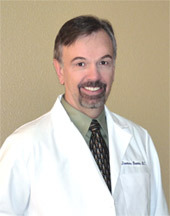 Dr. Bemis received his Doctorate degree in Chiropractic from Palmer College of Chiropractic in Davenport, Iowa in 1985. Dr. Bemis completed his internship training at Palmer College outpatient clinic. He is board certified having passed all four sections of the National Board of Chiropractic Examiners, including Physiotherapy. Dr. Bemis’ focus includes soft tissue injuries from sports, work, and auto accidents. He also specializes in non-surgical treatment for disc and nerve injuries. He utilizes various adjusting techniques including Diversified adjusting, Chiropractic Biophysics, Activator adjusting, Trigger Point Therapy and therapeutic exercise. With nearly a quarter of a century of experience Dr. Bemis looks forward to treating, helping and educating the people of Central Oregon regarding the benefits of Chiropractic. Call Bemis Chiropractic Clinic at (541) 447-1043 to find out more.